John Riley reviews the Canon EF 85mm f/1.4L IS USM, a bright prime lens ideal for portraits using Canon full-frame cameras. The classic 85mm f/1.4 is probably one of the most sought after lenses for portrait photography, and of course the various other short telephoto applications. Canon now introduce the full frame EF 85mm f/1.4L IS USM lens, falling in the range between the inexpensive EF 85mm f/1.8 USM and the high priced EF 85mm f/1.2L II USM. 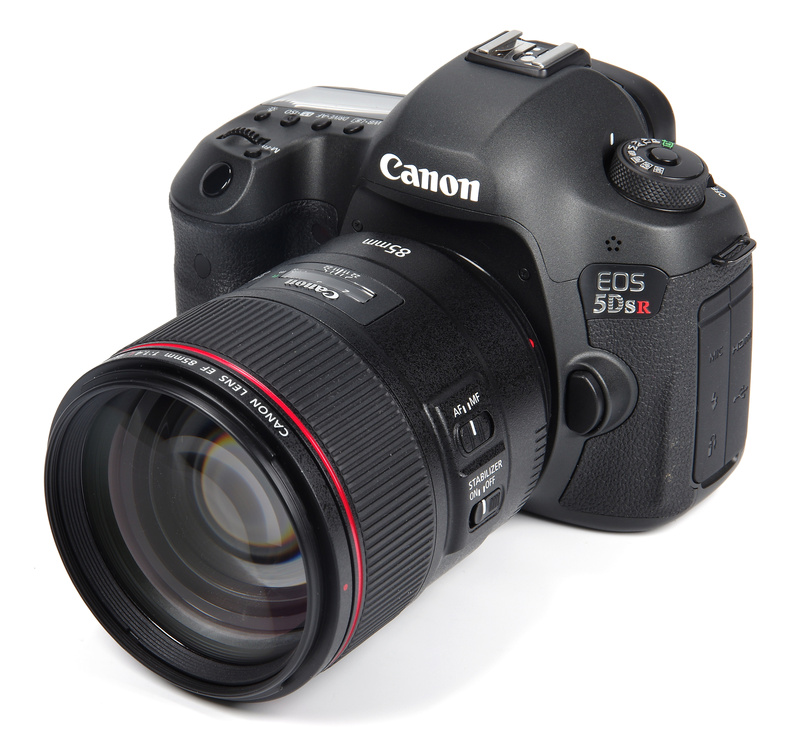 This new lens has all the signs of being a winner, so let's see how it actually performs in practice, using the Canon EOS 5DS R body. The 950g of solid lens looks immediately impressive. It is very well made and the finish is just beautiful. A lens can indeed be a thing of beauty. The provided bayonet lens hood clips firmly and precisely into place. A locking catch is provided that ensures the hood will stay put. Within the bayonet there is a 77mm filter thread. The front glass, ASC (Aero Sphere Coating) coated, fills the available space, leaving no room for the lens description, which is instead found on the outer edge of the lens barrel. 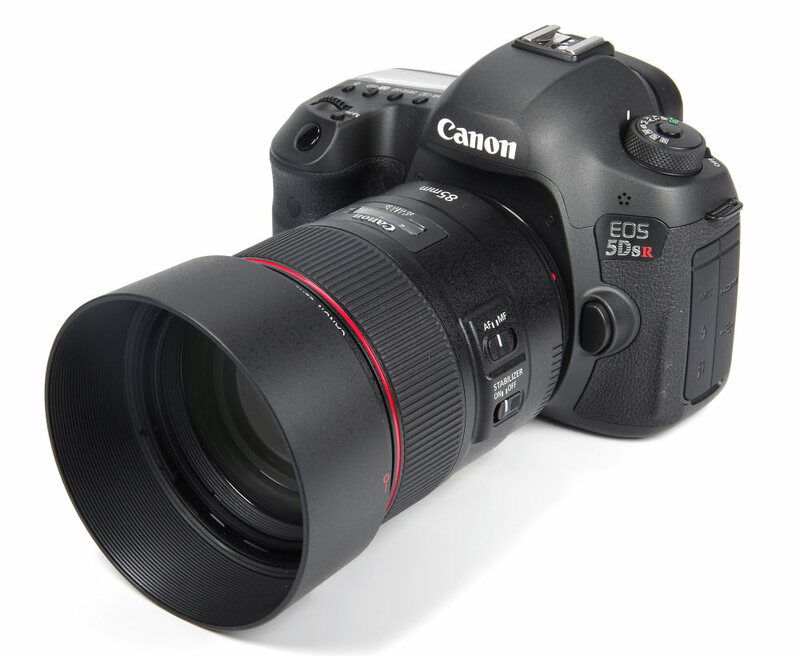 There is a wide rubberised manual focus ring, smooth as silk in operation. The manual focusing remains active during AF, so the final focus point can be tweaked when necessary. This can be useful when shooting through fine branches, for example. Focusing is down to 85cm, a maximum magnification of 0.12x. This is fine for close portraiture but not exceptionally close. If closer focusing is required, extension tube EF 12 II gives magnifications of 0.26x – 0.15x. Extension tube EF 25 II offers magnifications between 0.43x - 0.33x. The lens is not compatible with extenders (teleconverters). The distance scale is calibrated in feet and metres and a depth of field scale is provided. However, this is so small that in reality it is only of very limited use. Further round the barrel at the same point is the AF/MF switch. Next to this is the Stabilizer on/off. There are no other lens controls, and no aperture ring as all settings are controlled by the camera body. The body of the lens is dust and weather resistant, a very valuable feature. Optical construction is 14 elements in 10 groups. The aperture consists of a nine bladed diaphragm, with the aim of providing beautiful bokeh, the smoothness of the out of focus areas in an image. Out in the field, there are few lenses as enjoyable to use as the fast, bright, short telephotos, typically from 85mm to 100mm. This new Canon is no exception, offering a tack sharp viewfinder image that snaps in and out of focus with speed and precision. Locked in on the eyes, portraits are ideal subjects for the lens, giving a working distance where perspective is flattering and which is close enough to maintain good communication with the model. Low light telephoto applications are also fair game, along with any landscape, architectural or street applications that call for a slightly longer lens. 85mm lenses over the years have fallen into two design philosophies. On the one hand we have had designs where the widest apertures are deliberately slightly soft for sublime portraiture, becoming tack sharp as the lens is stopped down. In more recent years the tendency is to have that critical sharpness from wide open, and this latter group is where we find the new Canon. Centrally, sharpness is already of a high order, being very good, at the open aperture of f/1.4. This becomes excellent from f/2 all the way through to f/11, remaining very good at f/16 and only softening to any extent at f/22. Edge sharpness is very good at f/1.4 and again becomes excellent from f/2 through to f/8. Performance is still very good at f/11 and f/16, softening at f/22. The inclusion of f/22 is a bonus if required, but best avoided for the most critical work. CA (Chromatic Aberration) is very tightly controlled in the centre, generally being less than one tenth of a pixel wide. The edges also return an excellent performance. Generally, fringing is not a problem and for almost every conceivable application it is unlikely that further software correction will be needed. Short telephoto lenses tend to show some pincushion distortion and this is no exception. It measures a low +0.54% so is not likely to be noticed in most shots. If required, it could be further reduced using software. Flare is almost always completely absent from images, with the exception of being able to catch just the right spot with the sun and creating a mass of haze that overwhelms the image. The sample shot shows this effect, but we have to work hard to find a situation where it is likely to be a problem. It is just worth bearing in mind that the sun is better kept out of shot. Bokeh is very smooth and pleasant and in keeping with the requirements of a portrait lens. Using the widest apertures it is easy to throw even quite close backgrounds out of focus, without any hint of the busy or ragged look that some high resolution lenses can suffer from. The IS (Image Stabilisation) system is a nice addition to the specification. Four stops advantage is suggested by Canon. This reviewer can reliably find three stops advantage, but this will vary of course from user to user and even from day to day. Suffice it to say that there is at least a very real three stops of advantage where critical sharpness can be maintained. 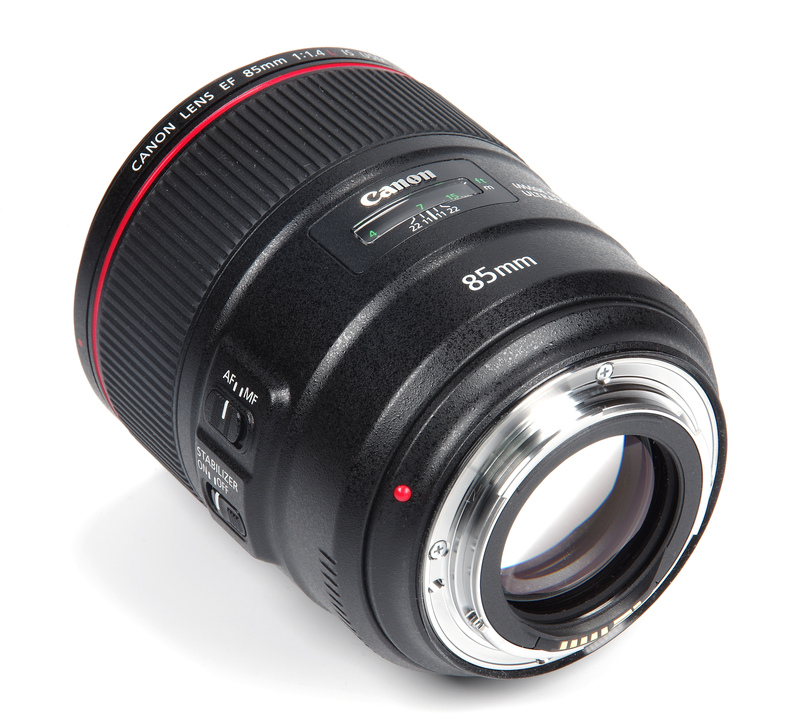 The Canon EF 85mm f/1.4L IS USM lens is priced at £1569. 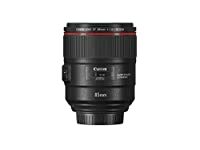 Canon offer two alternatives, the EF 85mm f/1.8 USM at £327 and the EF 85mm f/1.2L II USM at £1748. Looking at alternative lenses from all marques we can get an idea as to how these Canon lenses are pitched cost-wise. That is quite a powerful spread of superior optics, all of which offer excellent results with perhaps varying degrees of construction quality and varying degrees of that excellence. The closest comparable lenses to the new Canon are the Nikon and Sony FE and the prices of all three are very close, so for what they represent that seems about right. The rest of the VFM equation will depend on the depth of our pockets and how much use we need from an 85mm lens. 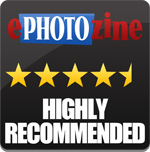 For more options have a look at the Top 15 Best Canon EOS lenses, or the Top 34 Best Portrait Lenses. Gorgeous and expensive, the Canon EF 85mm f/1.4L IS USM lens is that aforementioned thing of beauty. There is no doubt that it performs superbly and produces exceptional images, efficiently and with outstanding ergonomics. There are definite cost choices in that Canon offer a very low priced f/1.8 version, or, looking at the opposite argument, for only just under £200 more the f/1.2 comes into view. Many may find it surprising that there has been a hole in the Canon range for this f/1.4 lens, which is certainly the classic offering for most other marques. It could be the perfect compromise between cost and speed, but in the end the choice will be a very personal one. What is quite certain is that the new Canon lens will not disappoint. 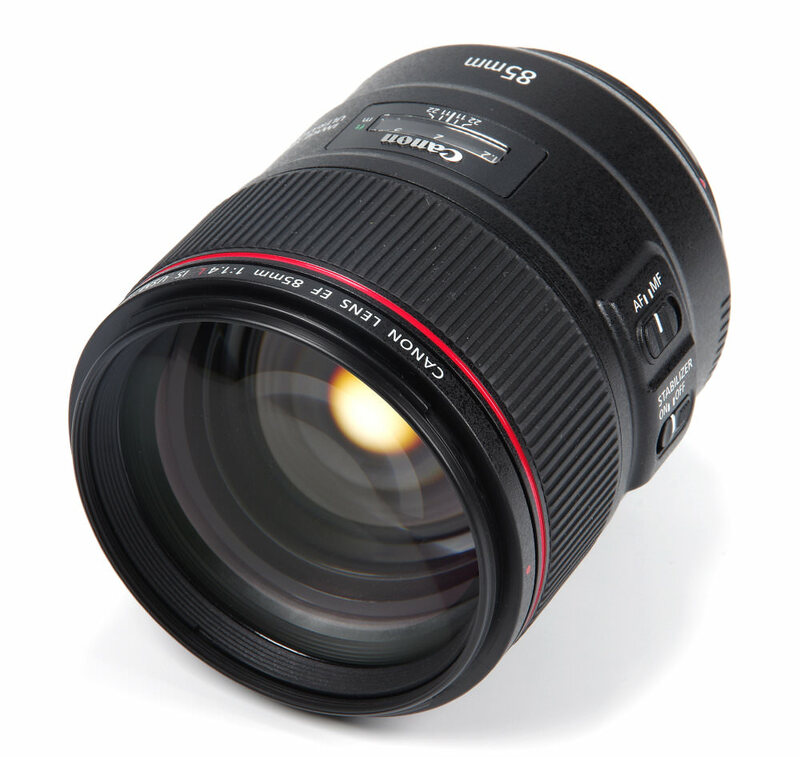 The Canon EF 85mm f/1.4L IS USM is a beautiful high class classic focal length lens ideal for portraiture.